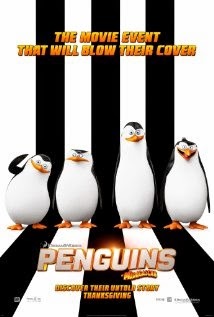 Showing this weekend at the Kingman Historic Theatre is Penguins of Madagascar at 7:30 P.M. Fri (Jan 2) 7:30 P.M. Sat (Jan 3) and at 5:00 P.M. Sun (Jan 4). This movie is rated PG and stars Tom McGrath,Chris Miller and Christopher Knights.